My artistic side has always been to produce something with true originality and I really don’t like to copy others. I have so many ideas always floating around in my head and these include sewing and embroidery using beads and sequins also crochet. I make hand sewn framed artwork and also many fashion items. There were crochet and sequin disco dresses in the 80’s and also sequinned motifs made to sew on plain sweaters and tee shirts. 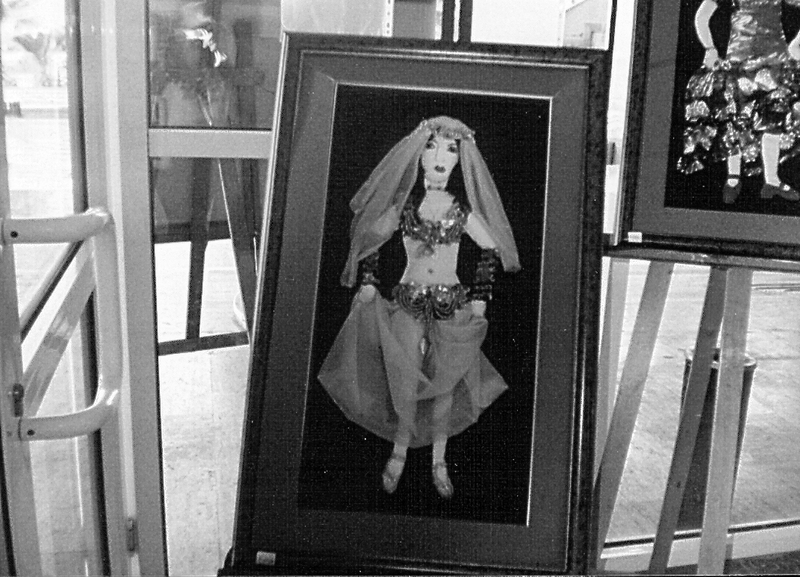 My earlier phase of work was making belly dance costumes when I lived in London and was appearing in cabaret. All the left over materials from that time were brought to Turkey with me and I always knew I would put them to good use again. 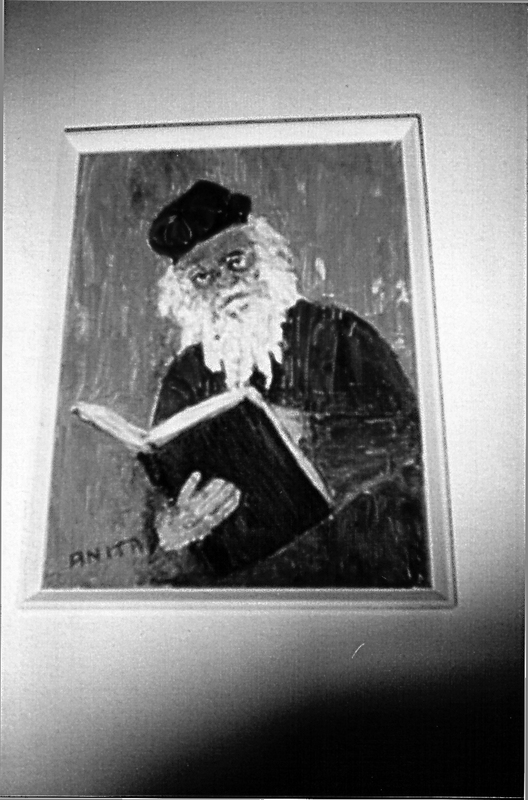 One day I invented another form of art which was very soon exhibited as “Anita’s People”. 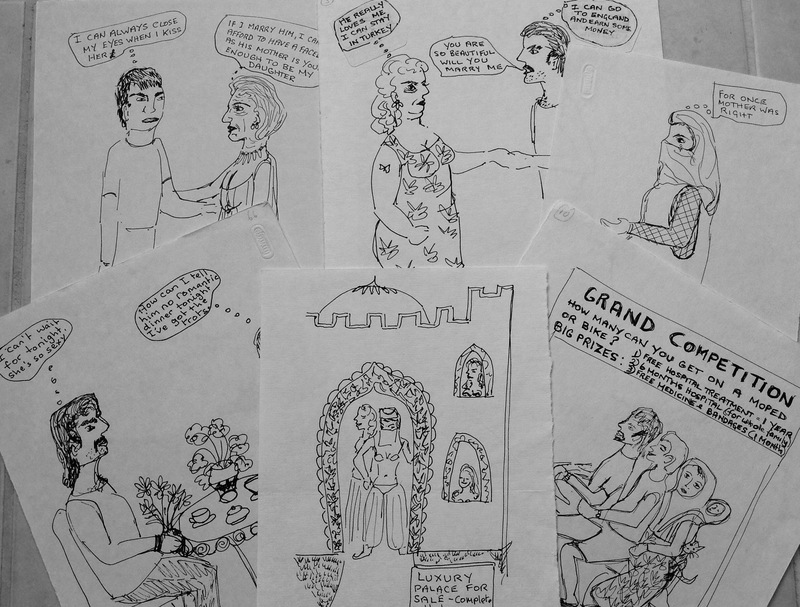 These pieces were mainly made up of Turkish style characters with others occasionally thrown in for variety and fun e.g. A Spanish dancer, mermaid, lady with dogs and even a pirate complete with a parrot on his shoulder, a sword and a treasure chest. 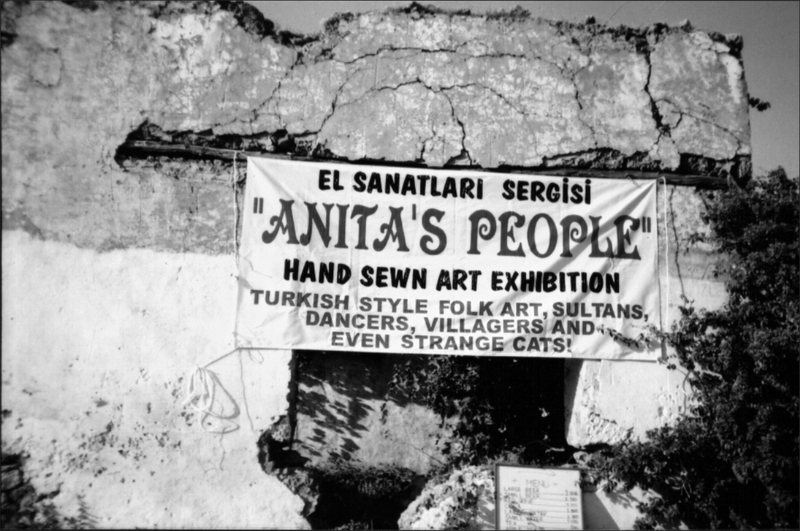 The exhibitions of this art form were very popular and sold well. In my teens and early twenties my art interest leaned more toards painting and drawing and once I remember I had decided that I would try fashion drawing but was not confident enough and convinced myself I couldn’t do it. Later on when I was writing some small tourism books for my local area of Fethiye in Turkey I decided to draw some cartoons, or at least try. I actually surprised myself as they turned out well and much better than I ever expected and only took me a few minutes each to draw. I have to admit though that I do prefer using my skill for working with materials rather than drawing. I even made myself summer dresses when I was in my teens and always loved to hand sew rather than machine. I also love remodelling some of my old clothes which were in colourful materials and reinventing them and even adding crochet panels. Sometimes my ideas are so overwhelming and I want to do so many thing at once that I start a few at the same time. Eventually most of them do get finished but then I decide I don’t really like them after all or feel they make me look too fat. I have made outfits out of old scarves and curtains as well. I often have people stopping me in the street to ask where I purchased some of my creations.